Why is Sudan's Suakin island important for Turkey? Turkey is temporarily taking over the island for reconstruction. Suakin is at the crossroads between Aden Gulf and the Red Sea, and Saudi Arabia and East Africa. The move is another step for Turkey's engagement policy in Africa. Turkey’s President Recep Tayyip Erdogan went to the Sudanese capital Khartoum on Sunday for an official two-day visit to strengthen ties between the two countries. 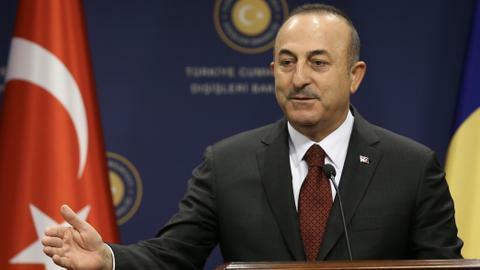 It was the first visit by a Turkish president to the African country. The two leaders inked agreements worth billions of dollars, consistent with Turkey's Africa engagement policy. Erdogan and his Sudanese counterpart Omar al Bashir visited Suakin island on the Red Sea. The island is of high importance to Sudan because it lies at the crossroads between Saudi Arabia and Port Sudan—Sudan's largest port, located just north of the island. Suakin island used to be an important point in the journey of Muslim pilgrims traveling from African nations to Mecca and Medina to perform Hajj, and for traders from East Asia to Africa and Europe. During the Ottoman era, Turks constructed a mosque on the island for the Hanafi and a Shafii Islamic schools of thought, which Erdogan and al Bashir visited together. After the visit to Suakin island, Erdogan gave a speech at Khartoum University, where he requested Bashir to allow Turkey to restore artefacts on the island. After another meeting with Turkish and Sudanese businesspeople, Erdogan announced that Sudan agreed to temporarily put Suakin island under Turkey's care for reconstruction. "God willing, even for Umrah trips, as it was in previous times, people went to Jeddah from here. These roads will be built again, we will restore it,” Erdogan said. He stated that the "imperialists have ruined Africa" and they have conducted one-sided economic policies, but Turkey is willing to pursue a “win-win” policy. "When we look at Turkey's Africa policy, it is more about soft-power. TIKA (Turkish Cooperation and Coordination Agency) is building hospitals, and helping to find water wells," said Volkan Ipek, an Africa expert at Yeditepe University, adding that Turkey is aiming to win the hearts and minds of the African people. Turkey has promised to rebuild the island which the Ottoman Empire used as a port to secure access to what was then called the Hejaz province—now western Saudi Arabia—from invaders coming from the Red Sea. 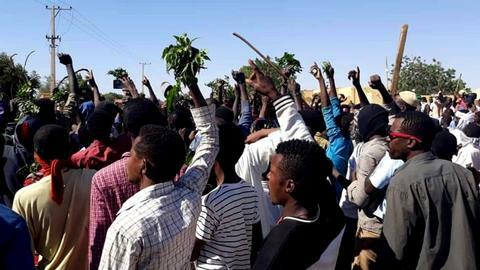 Bashir promised to allocate a shipyard to Turkey, which Sudan will take back when Ankara is done with the rebuilding. There were no details given yet on securing workers, buildings and construction sites in the region, which suffers from attacks. Erdogan said that the defence industry is another area where the two nations can co-operate. Turkish army Chief of Staff Hulusi Akar, also accompanied Erdogan to Sudan to discuss how to enlarge security co-operation. The island is strategically located on the Red Sea. Across the sea lies Saudi Arabia and to the north lies Egypt. The two countires have been facing border challenges in Halayeeb. Khartoum accuses Cairo of deploying its army to the Sudanese side of its border, which Egypt claims as its own territory. Ankara and Cairo's diplomatic relations are at the lowest level since 2013, after the coup by Egypt's Abdel Fattah El Sisi which toppled the first democratically elected president, Mohammed Morsi. Ankara does not recognise Sisi as a legitimate leader. Now, Egypt's pro-government media are vilifying neighbouring Sudan over its growing ties with Turkey and Qatar, saying the three are conspiring against Egypt. Ankara and Riyadh have also faced tensions over the Qatar crisis, but Turkey's Prime Minister Binali Yildirim visited Saudi Arabia on Wednesday to try to smooth things over. The agreement between Sudan and Turkey was watched very carefully by both Cairo and Riyadh. Turkey also has strong ties with Somalia, another East African country. Turkish soldiers are training the Somali army at a military camp built by Turkey in the capital Mogadishu. "Turkey took some [military] steps in East Africa. Somalia can be an example. This might create a security dilemma for countries that have military bases in Djibouti," Ipek said citing the military camp. 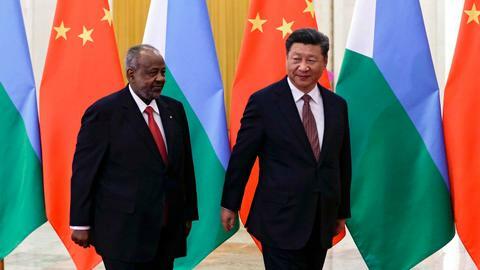 Many countries have set up military bases in Djibouti, the latest being China. "Turkey didn’t have any military expectations in Africa and [a deployment to Suakin Island] will not create a problem [for neighbouring countries], because Turkey is focusing on economic relations rather than military issues. If there will be a military existence, this will be against terrorist organisations," Ipek added, referring to Al Shabab and Somali pirates. 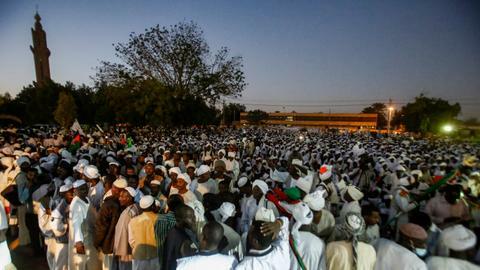 Sudan has faced years-long civil wars that ruined the economy and has been faced with sanctions. After the war, President Bashir was wanted by the International Criminal Court (ICC) on charges of war crimes in the strife-torn Darfur region. 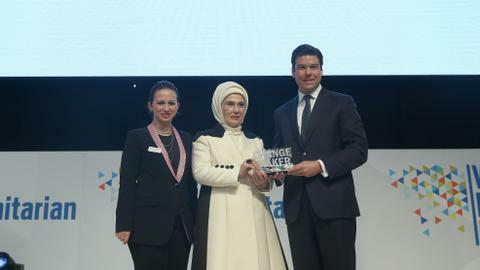 Earlier this month he attended a summit of the Organisation of Islamic Cooperation (OIC) in Istanbul. 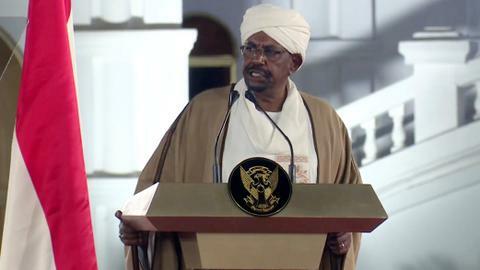 The temporary allocation of the island is part of a move to boost Sudan's economy. In 2014, Turkey rented around 780,000 square kilometres of cultivated area for 99 years from Sudan that aims to boost the country’s agriculture. “Maybe in a couple of years the trade volume will be at one or two billion dollars, but our goal is $10 billion,” Erdogan said in Sudan. 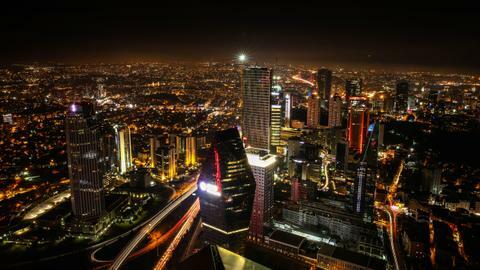 Right now the bilateral trade with Turkey stands at around $500 million. With the restoration, the port on the island will be used again after years of being disabled, so that Sudan won't be depending only on Port Sudan. From Port Sudan, around $4 billion worth of goods are exported, while annual imports to the tune of $7.5 billion are offloaded, making the harbour an integral part of the country’s economy. The attraction to Port Sudan comes from its location in Red Sea Free Trade Zone (RSFZ), and also its connectivity to the international airport. The coral-choked port has a petroleum refinery, an international airport and modern docking facilities that handle the bulk of the country’s external trade. The move aims to ease Port Sudan's burden, as well as, create another employment area for the country, which suffers from economic problems. More goods coming into the country, two ports as international transfer points and more businesses hope will strengthen both the Sudanese economy and Turkish-Sudanese relations.